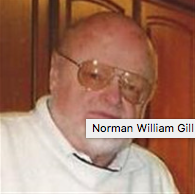 He was preceded into death by his parents, Norman and Elaine Gill; grandparents; aunt Margaret Gill and uncle Jack Gill. He is survived by his wife, Joan; sister Bonnie Gill, and his dog Sombra. Norman was Capitan of the Duluth Central Cross Country team who won Minnesota State Championship in 1956. Which lead to a passion of running for his whole adult life. His other passion was hunting grouse and turkey. After retiring as a research Chemist from Cargill and Tennat he became an avid reader. His memorial Service will be on Friday at 11:00 AM at Hopkins Chapel, with visitation one hour before the service. ‹ Shennaghys Jiu Festival Celebrates Twenty First Anniversary!